Fossbytes brings you a list of the best data recovery software of 2019 which are completely free. These data recovery tools save a lot of hassles after we accidentally delete some important files or we do not take backups before formatting a hard drive. 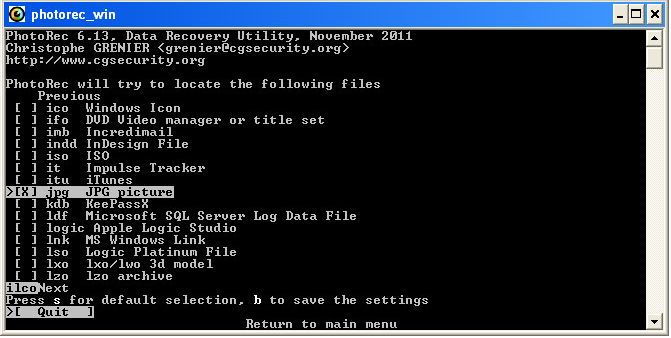 Using these free recovery programs, you can recover your data back on your PC. We lose our important data from hard disk by accidentally pressing the Delete key. Sometimes, a software bug or virus can also corrupt your hard disk. At this point, a data recovery software comes in handy. You can choose free and paid solutions as per your need. To answer your query and help you make an informed decision while undeleting your files, we have compiled a list of best free data recovery software considering factors such as whether the software can recover RAW, Unallocated, Corrupt or Formatted Hard Disk; its ability to recover from different file systems such as FAT, FAT32, HFS, NTFS etc. ; the array of devices supported; time taken for file recovery and user-friendliness to name a few. Let’s take a look at some of the best data recovery software you can use to recover lost data. The fact that Recuva is on the top of the best data recovery software list, may not come as a surprise. This data recovery tool has the ability to restore files from hard drives, DVD or CDs, memory cards, and external drives. There are tons of free file recovery software around but few of them come close to Recuva when it comes to hard drive and photo recovery actions. This recovery perform does its work by searching for unreferenced data. It’s known for getting back lost directory structure as well as renaming two files of the same name while performing the data recovery. Supported Platforms: Recuva data recovery software for PC can be used on Windows 10, 8, 8.1, 7, Vista, XP, and older versions of Windows. A list of best data recovery software can hardly be termed as being complete without a mention of TestDisk recovery software. It’s an open source software that was created with an aim to get back lost partitions and fix non-booting disks. 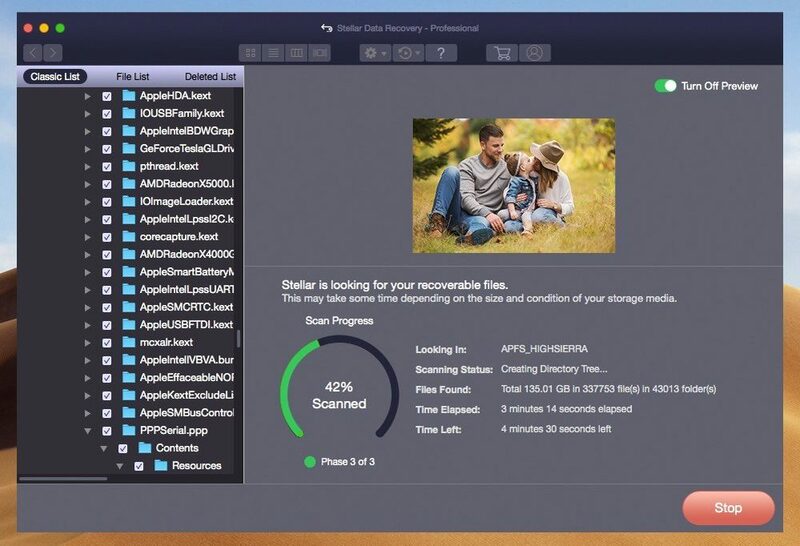 Packed with features and a file recovery system that can easily overshadow that of any other data recovery software, TestDisk has a lot to offer for both novices and experts. This free data recovery program tries to detect partitions and file entries on its own. The deeper scan for deleted/damaged partitions obviously need more time. Being a command line tool, TestDisk hard drive recovery tool may not be suitable for some users for data recovery. If you’re a fan of GUI, I would recommend you to go with Recuva or Stellar for file recovery. Supported Platforms: TestDisk can run on Windows 10, 8, 8.1, 7, Vista, XP, and older versions of Windows, Linux, BSD, macOS, and DOS. 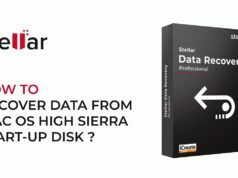 Living up to its name, Stellar Data Recovery performs a stellar job in recovering your data from your Windows PC and Mac. If you are regretting your decision of deleting recent files, Stellar Data Recovery tool is here to help you in an effective way. 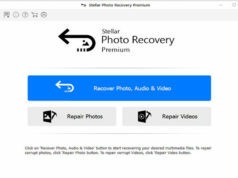 Stellar also has many other tools for home and business applications but here we’ll be focusing on software for photo, USB, and hard drive recovery. Let’s tell you the highlight feature of the program. 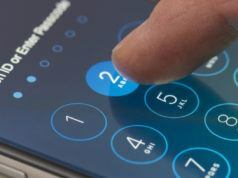 Risk-free program recovers data from different types of storage devices like memory cards, smartphones, USB drives, hard disks etc. Supported Platforms: Revuca recovery program can run on Windows 10, 8, 8.1, 7, Vista, XP, and, macOS. With the looks of a typical Microsoft Office application due to a ribbon-style toolbar and blue color theme, the Undelete 360 is built on a fast yet efficient algorithm which enables the user to undelete files. Works on a variety of devices such as Digital cameras, memory cards, smartphones, computer hard drives, USBs etc. Recover files of a wide variety of types such as DOC, HTML, AVI, MP3, JPEG, JPG, PNG, GIF, etc. However, scanning speed needs major improvement and this tool also lags out its competition in terms of recovering data. The small setup size of the tool turns out to be a plus point in this race of file recovery software. Supported Platforms: Undelete 360 can run on Windows 8, 8.1, 7, Vista, XP, and older versions of Windows. 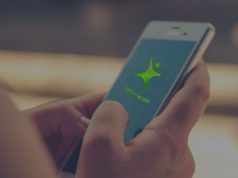 Definitely one of the best data recovery software out there, PhotoRec is widely acclaimed for its powerful file recovery over a wide variety of devices ranging from digital cameras to hard disks. It’s specially created to recover data like pictures, videos, documents, etc., from hard disks, CD-ROMs. Comes packed with the ability to recover more than 440 different file formats. Features such as the ‘unformat function’ and the ability to add your own custom file types do come in handy. This photo recovery software supports lots of file systems, including FAT, NTFS, exFAT, ext2/ext3/ext4 and HFS+. Although I wouldn’t advise this free data recovery software to beginners as it is completely devoid of a GUI and uses a command line interface which may intimidate some users. Supported Platforms: PhotoRec recovery program can run on Windows 10, 8, 8.1, 7, Vista, XP, & older versions of Windows, Linux, BSD, DOS, macOS. Pandora recovery is one of the most reliable and effective best free data recovery software out there. 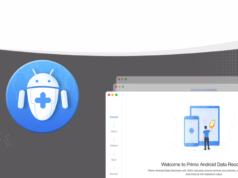 Pandora recovery tool has a lot to offer to its users. With surface scan (which allows you to recover data from drives that have been formatted) and the ability to recover archived, hidden, encrypted and compressed files, it packs quite a punch. Its interface is very easy to get a hang of and provides an explorer-like view along with color-coded and recovery percentage indicators. However, its file detection system is not that reliable and needs to be improved further. This excellent data recovery software could be made portable as well so that it doesn’t consume any space on the hard disk and thereby not consume space that a file which we wish to recover once consumed. Supported Platforms: Pandora data recovery can run on Windows 8, 8.1, 7, Vista, XP, and older versions of Windows. Standard undelete programs like Recuva, Pandora etc. are perfect for recovering a few deleted files, but what if when you have lost an entire partition? Then you will probably need a specialist application like MiniTool Partition Recovery. Can’t use data recovery on a bootable disc here. Supported Platforms: MiniTool Partition Recovery software can run on Windows 10, 8, 8.1, 7, Vista, XP, and older versions of Windows. Can recover deleted files from local drives, USB drives, cameras, memory cards, removable media devices etc. Faster search filter by selecting inbuilt file extension groups using the file’s type. Compatible from Windows XP to Windows 8. Wise data recovery tool is quick at performing file scans during recovery process but the availability of a deep scan mode would have been better. There’s also a Wise portable data recovery software version available, so you don’t need to install it. Supported Platforms: Wise data recovery software can run on Windows 10, 8, 8.1, 7, Vista, XP, and older versions of Windows. Using the “Find lost files” option turns Puran File Recovery into a tool to recover all files from a lost or damaged partition. Something else you can do is edit the custom scan list which stores file signatures for more accurate recovery of badly damaged data. Supported Platforms: Puran file recovery software can run on Windows 10, 8, 8.1, 7, Vista, XP, and older versions of Windows. PC Inspector File Recovery works well on both FAT and NTFS drives even if the boot sector has been erased or damaged. Here are some of the features of this recovery tool. Simple search dialog can help locate files by name. Recovered files can be restored to a local hard disk or network drives. Can recover image and video of several types of files in different formats such as ARJ, AVI, BMP, DOC, DXF, XLS, EXE, GIF, HLP, HTML, JPG, LZH, MID, MOV, MP3, PDF, PNG, RTF, TAR, TIF, WAV and ZIP. However, the interface is a little confusing mess of tabs. So, be careful with this tool. Also, note that if your hard disk is has faced some mechanical damage, you need to look for some specialist. Supported Platforms: PC Inspector file recovery software can run on Windows 10, 8, 8.1, 7, Vista, XP, and older versions of Windows. I would personally recommend Piriform’s Recuva data recovery program to all our readers, hands down. With superior file recovery, an advanced deep scan mode, a secure overwrite feature that uses industry & military standard deletion techniques and the ability to recover files from damaged or newly formatted files, Recuva is undeniably one of the best free data recovery tools out there. Its portability (the ability to run without installation) is one feature that sets it apart from others. The User Interface of this free tool wouldn’t let you down either with a file-recovery wizard and an application manual mode available to your disposal which provides color coding (indicating the probability of the recovery of a file) along with the ability to preview files before undeleting them. Recuva’s data recovery solution is definitely a notch above all others and undoubtedly the most complete and reliable free data recovery software available today. Have some other data recovery software in mind? Give us your suggestions in the comments below. You can also read some useful FAQs on the next page as well.